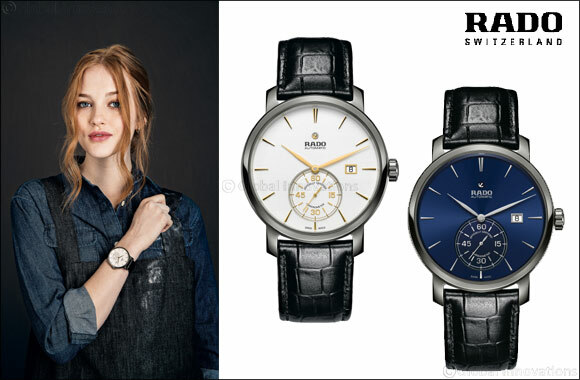 Dubai, UAE, December 06, 2018: Swiss watch brand Rado has long been known for its use of unconventional, high-tech materials and for pioneering their use in the world of watchmaking. In fact, it’s often said that – at Rado – the complication is on the outside. 43 mm DiaMaster case and the open, clear and readable dial the line is know for, this is pure Rado. Topped off with gold coloured detailing and a soft leather crocodile print strap, in 2018 the DiaMaster Petite Seconde Automatic COSC is precisely what watch fans have been waiting for.